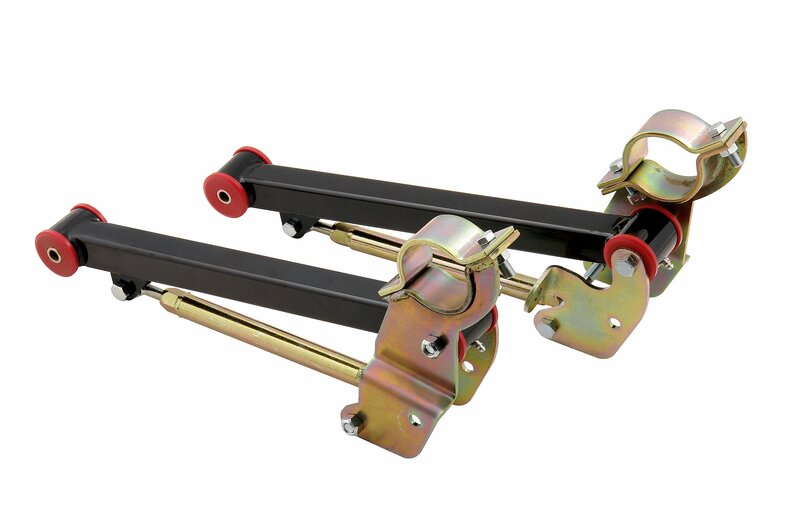 Utilizing axle torque to lift and load the chassis, these traction action lift bars from Lakewood force the rear tires downward to transfer power to the pavement. These bars are built from heavy gauge steel tubing construction to prevent flex or bending, greasable polyurethane bushings for positive suspension control and durability. These bars are designed for the 1982 to 2002 Camaro/Firebird. They are legal for the NHRA Stock Eliminator classes. Bolt on replacement for factory rear lower control arms. Powdercoated black finish. Sold in pairs. Hardware included. Other applications available.